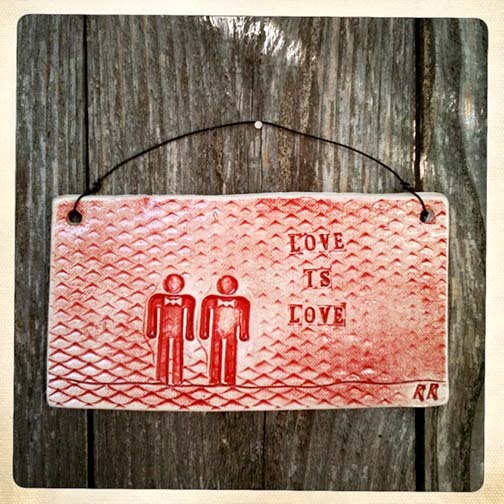 Kelly has started making some cute ceramic plaques celebrating couples and marriage equality. We sold one at the beginning of August to a nice lady from a small town in Idaho who said she was buying it for her son and his partner. How sweet. 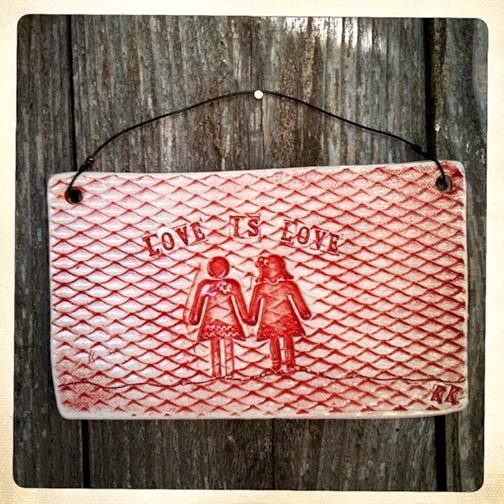 Each plaque is handmade, white clay with a red stain, and has a wire hanger.